No Limit Code 'Em: University of Illinois - Enova International, Inc. In addition to our Chicago wide Hackathon for currently enrolled students (http://nolimitcodeem.eventbrite.com/), Enova is hosting a coding competition at the University of Illinois next Thursday, October 11th! 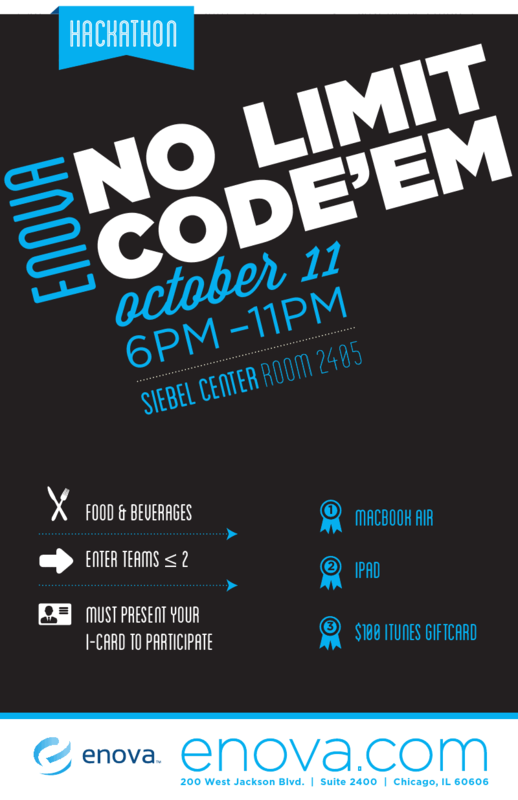 Come join us for an unforgettable night night of coding, food, and great prizes.